Wang said the two countries should work together in implementing the consensus reached by the two heads of state, maintaining the momentum of high-level exchanges, jointly pushing the Belt and Road Initiative, deepening cooperation in various sectors and enhancing cultural and people-to-people exchange. Mongolia is one of the first countries to establish diplomatic relations with the People's Republic of China founded in 1949. Wang said friendship and cooperation had remained the mainstream of bilateral ties over the past 70 years. Mutually-beneficial cooperation in recent years has yielded fruitful outcomes, bringing benefits to both peoples, Wang added. 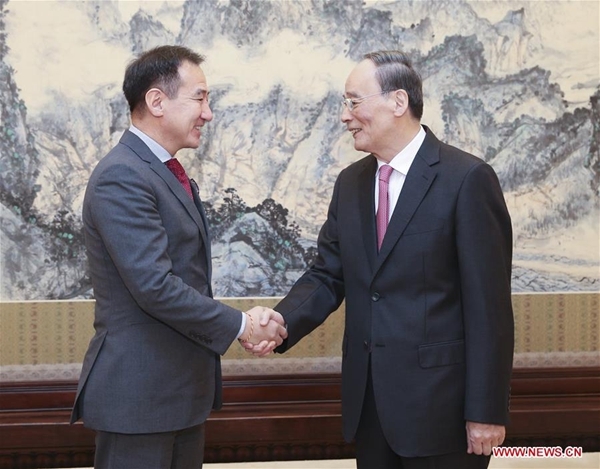 China's rapid development and the Belt and Road Initiative bring important opportunities to Mongolia, Tsogtbaatar said, adding that his country is willing to improve the bilateral ties to higher levels.